TOWERGATE’S NEW EXEC ASKED US TO DEVELOP SPOTLIGHT TO BOOST EMPLOYEE MORALE AFTER A TURBULENT PERIOD. 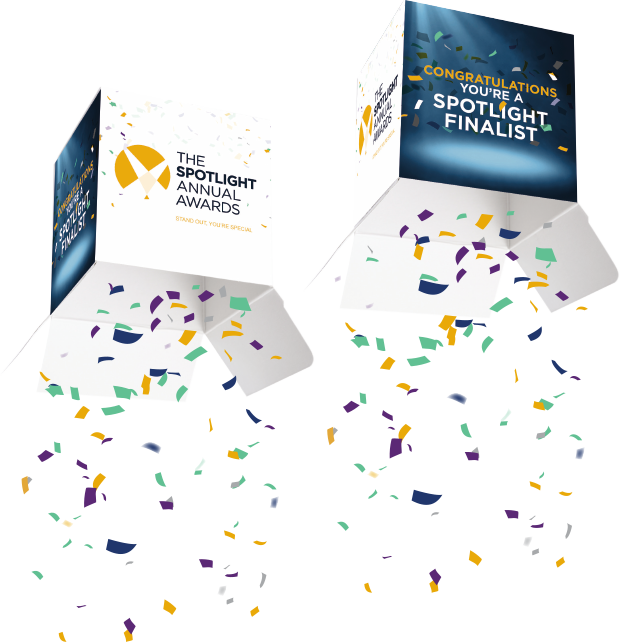 Spotlight is a reward and recognition scheme that places people at the very heart of their new strategy. A bespoke build, Spotlight is all about recognising brilliant people and the great work they do – celebrating those who make a real difference to their business. We’ve designed it to be easy for colleagues to make nominations in real time – whilst also meeting some very stringent security standards and audits. We also developed a user-friendly and simple registration and nomination process, with detailed reports for the management team. We developed a brand identity for Spotlight and built a responsive website to promote the new culture of recognition. Next, a range of on and offline resources promoted the scheme internally – everything from banners, videos, posters and an email campaign. We even went a step further, with a Boomf box to help finalists to celebrate their nomination. 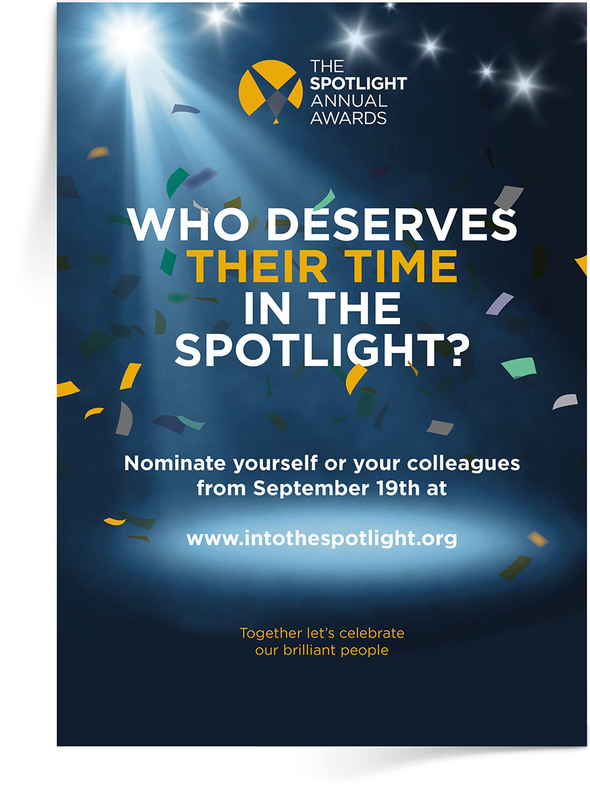 Crucially, our copy needed to resonate with everyone – and inspire them to start recognising dedication and begin nominating.